How many mascaras do you own? How many mascaras is enough? I don’t know what’s wrong with me but if I see a sale on mascara and it is one of my faves, I have to get it. LOL I have backups of backups. This is a shame post. I was tidying up my makeup area and started putting my unopened mascaras in a box and realized that there were backups of backups, one I totally forgot I bought and quite a few samples. My goal is to get through the samples in the next few months. The backups will always get used as they are favorites. All these mascaras are black, very black or blackest black. Geez I should try a different colour sometime. 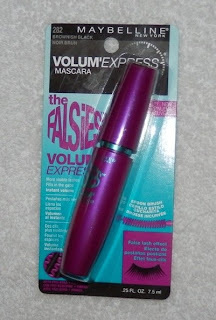 I did toss out some old mascaras; such as my Volumious waterproof that I use in the summer and the last of my Voluminous Million Lashes mascara (love that stuff). I'm reading this and thinking, was this written about me? Haha. I typically have at least 2 unopened backups for my mascara, and I had 3 of the same liquid liner. I find these things that I love, on sale, and I keep buying them. Not to mention I have at least 10 black pencil liners, most of which have never even been opened. My back ups also have back ups. I'm a makeup hoarder, and I think I have a problem, lol. Glad to see, I'm not alone! Oh thank god! Not alone! I have to stop myself from buying more mascara when I see it on sale. I don't even want to show my eyeliner box. And it is the same here with unopened liners. I should count how many Black pencil liners I have. Ahhh it makes my head hurt cuz now I am thinking Well then I would have also count the liquid and gel liners too. I loved your post because I don't feel alone on that anymore, haha! Mascara is my favourite piece of cosmetics and I love to try new ones all the time, I never seem to get enough! I don't hoard mascaras, but I do enjoy trying different ones. lol I buy a different mascara every time, because there are so many to try! I think I am beating you...almost all of my mascaras are from samples and I find that I cannot go through them fast enough!! I'm a freakin' hoarder!! I find it so hard to throw out anything, but I know I'll have to at some point! Can we use mascara for anything else? Can it be multipurpose??? Ok so brace yourselves....I have 40 unopened mascaras (all drugstore)!!! Yeah, I know I have a disease and I also know I will never be cured. Lol. I have 4 open ones that I am currently using and I will toss it after 3 months. In the future I will test and try out 3 mascaras at a time. The saddest thing is there are so many more mascaras I want to try. I am still in the search for my HG mascara. Do you have a HG mascara? What is your favourite? OMG Forty? You are our Queen now LOL. A favorite of mine is Voluminous Million Lashes. 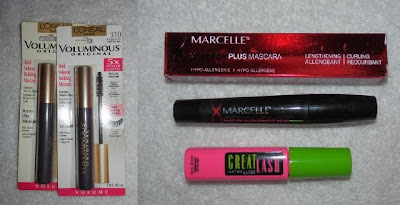 Then Marcelle's Extension Plus, then Benefit's they're Real mascara, then...Haha I have lots of favorites! I do have voluminous million lashes but I have yet to try it. 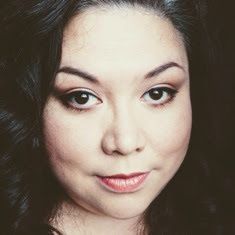 I have not tried any high end or department store makeup yet, I'm making the most of drugstore brands before I move on. I want to do a top 10 drugstore mascaras (as well as other makeup). Btw I also hoard old mascara even though I don't use it anymore- I just get a sense of accomplishment seeing how many I have used up. Lol.